This natural Ipu is not varnished. The ipu is a common hula percussion instrument made using real gourds and polished with a glossy finish. Our ipus vary in sound depending on its thickness and size. There are three sizes available: small, medium, and large (see chart below). 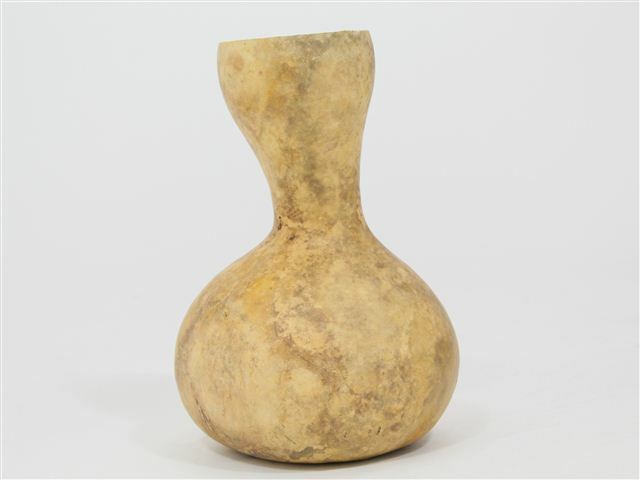 Ipus are natural instruments made by natural-drying gourds. Due to the natural material of the instrument each instrument’s shape, coloring, size, thickness, and sound will differ, making each unique. The manufacturers hand-craft all Ipus, and we promise to send one-of-a-kind, unique pieces to our customers. *Please note that currently the order for the Ipu may take more than 8 weeks to ship due to a shortage of the material. *Mold may develop due to the natural-drying process of the raw gourd, but does not render the Ipu defective. Purchased Item: Natural Ipu L 26"-31"
I purchased the two ipus as a birthday gift for my artist friend who probable add some art work before we turn them into percussion instruments. The natural surface of the gourds were perfect.